Enjoy an elegant Shabbat dinner in a unique and intimate setting, overlooking the Teton mountain range. Dine on traditional Shabbat delicacies, with Western flavors woven throughout the menu, complemented by a selection of kosher wines. Sing beautiful Shabbat melodies that will warm your Jewish heart… and save room for a L’chaim or two! For a memorable Jewish experience be sure to make your reservation today! Please make your reservation no later than one week in advance. Our home is open to all, and we we encourage you to join us for Shabbat meals during your visit to Jackson Hole. Your generous support will enable us to keep our home open and assist many more visitors in the future. To make a reservation for Friday Night Dinner, please make a payment of $75 per person, Shabbat Lunch $65 per person & Shalosh Seudot is $50 per person. Children 12 & under are $35. 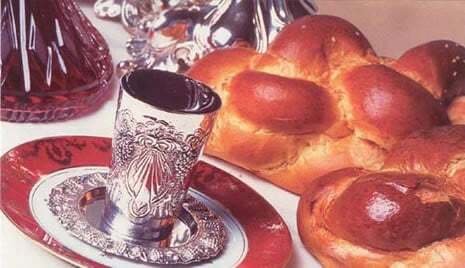 There will be no Shabbat Hospitality (services & meals) on Friday, May 24th & May 25, 2019. Thank you for your understanding. Chabad of Wyoming is not funded by Chabad headquarters in New York. We, as every Chabad center, are responsible for all funds of our operating budget. We are supported exclusively by the generous contributions of individuals and foundations that care about our community. All funds raised by Chabad of Wyoming remain in Wyoming and go directly into programs and services for the Wyoming Jewish community and Jackson Hole visitors. Welcome to our new Tourist Info Section! We hope this will enhance your stay!